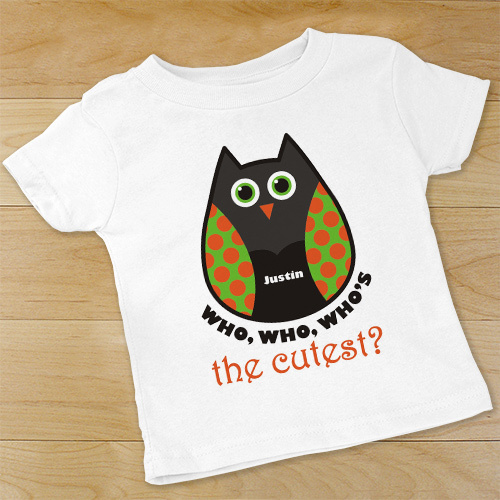 Your baby is the cutest baby around wearing this fun loving Personalized Owl Baby Suit. Each time your boy or girl wears their Personalized Who's The Cutest Outfit, they're no doubt going to put a smile on everyone's face. Our Personalized Baby Gifts are available on our premium 5oz, 100% white cotton infant bodysuit with crew neck, double-needle hemmed sleeves and binding at the legs with three snap bottom. Machine washable in infant sizes NB-18 mos. All Customized Baby Gifts include FREE Personalization! 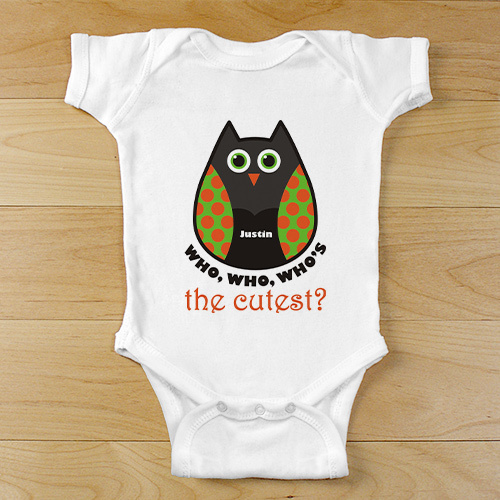 Personalize your Owl Baby Suit with any name. Super cute! I got his for my coworker's baby shower and she loved it! Our Personalized Who's The Cutest Baby Suit is the perfect gift for your little girl or boy! Make it a a unique gift for an upcoming baby shower or birthday. Shop GiftsForYouNow.com for all of your unique & Personalized Baby Gift Ideas. You may also enjoy this fun design as our Personalized Who's The Cutest Infant/Toddler Dress as well.